This studying manual, which is one of the modules of the Innovation educational complex “The History of Russia through the History of the Regions”. Contains a fascinating and accessible description of the main events of the history of the Saratov Volga region as an integral part of the history of Russia from ancient times to the present day. Presents bright features prominent figures of the region on the background of specific events. Descriptions of daily life, of work and life of our countrymen in different historical epochs. The content and methodological apparatus meet the requirements of Historical and cultural standard and full General secondary education. Provides for the use of technology developmental education. The manual is focused on the development of skills necessary for successful completion of the course of regional history and prepare for the exam. 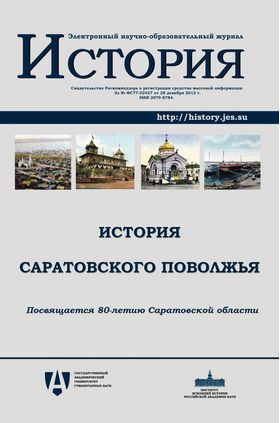 The authors devotes benefit to the 80th anniversary of the Saratov region. Saratov — Wilderness or the Capital of the Volga Region?